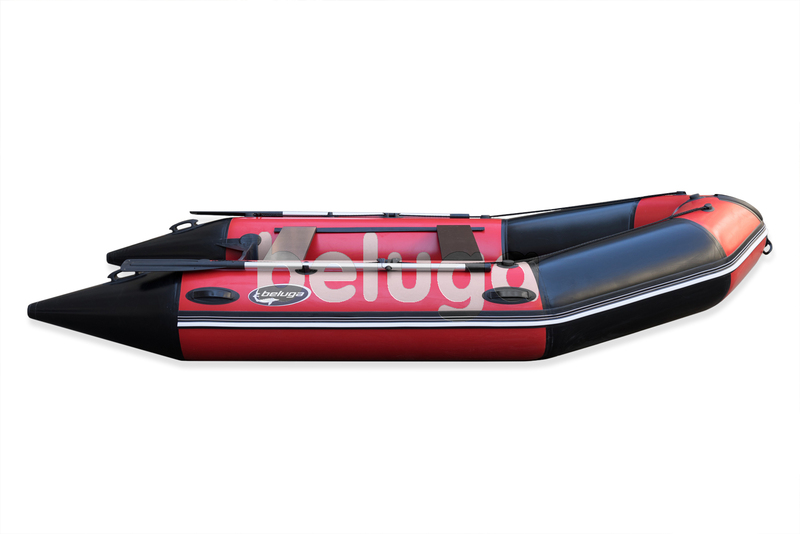 Beluga 12 ft. Red/Black Inflatable Boat is the fastest model among K class boats manufactured by our company. It combines high speed and the greatest safety, and these features are provided with special construction. 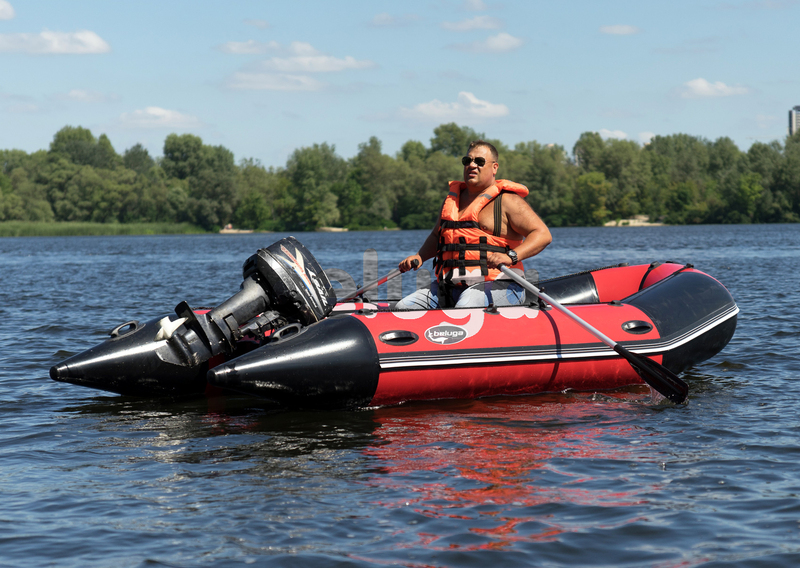 This boat is 12’2” long, 5’7” wide and has 1’6” tube diameter, but in spite of such huge size it demonstrates such perfect speed as up to 25 miles/hour with 15 horsepower motor and one person onboard. 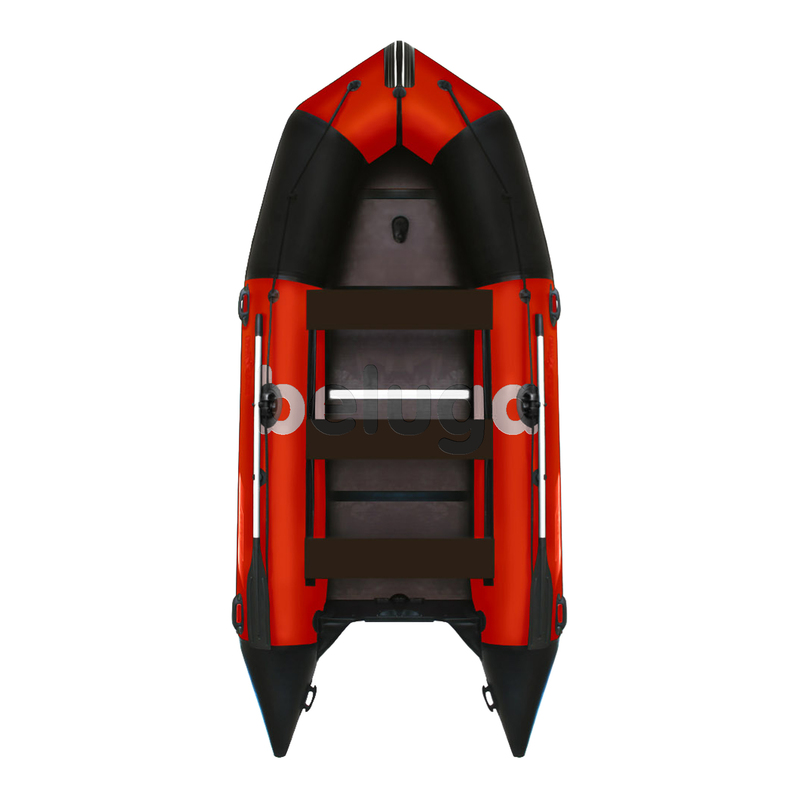 Moreover; if 20 horsepower motor is installed on Beluga 12 ft. Red/Black Inflatable Boat, such speed will be achieved with more persons onboard (maximum payload is 6 people or 1367 lb). This boat, which is presented for the lowest price in K series, is perfectly suits for fishing, hunting and journeys in a company of 2-3 friends (the other space is used for luggage). It is designed for comfortable and safety use. 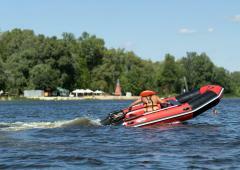 The water splashes cannot penetrate inside the boat, due to the huge tubes diameter. Folding chairs inside and removable seats provide comfortable use of the inner space. You will get real enjoy with Beluga 12 ft. Red/Black Inflatable Boat! One of advantages of this boat, its transportability. 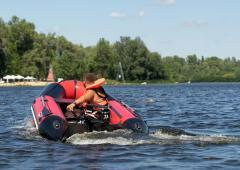 You can curtail the boat and transport it in a backpack, even by bicycle. If to write in other words, it is possible to come on beach by bicycle, to float for a while by the boat and to come back home. It is very comfortable and practical. After the active celebration of Christmas, we went to float by the boat. But after short floating we ran aground and received a puncture. But wonderfull, with problems all of us could reach the coast back. This boat unique in own way. Hi, everybody. The price for this boat is of course not so low, however it is necessary to remember, that you need to pay more for the quality. And if to compare this boat, first to other boats of this class and also to boats of other brands (approximately the same characteristics and quality), then here it is possible to see an excellent combination of quality of good and the price. 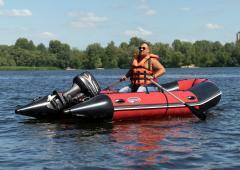 Therefore I advise to buy this boat as the quality costs the good price. Very comfortable boat. And the most comfortable thing, that it can accomodate 6 people. 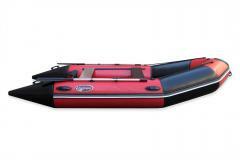 The best property of this boat, that regardless of loading of boat, it is very easy to operate. 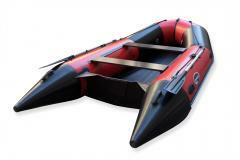 No matter how many people sit in the boat 6 or 2, the boat is easily controlled by an oar or the motor. 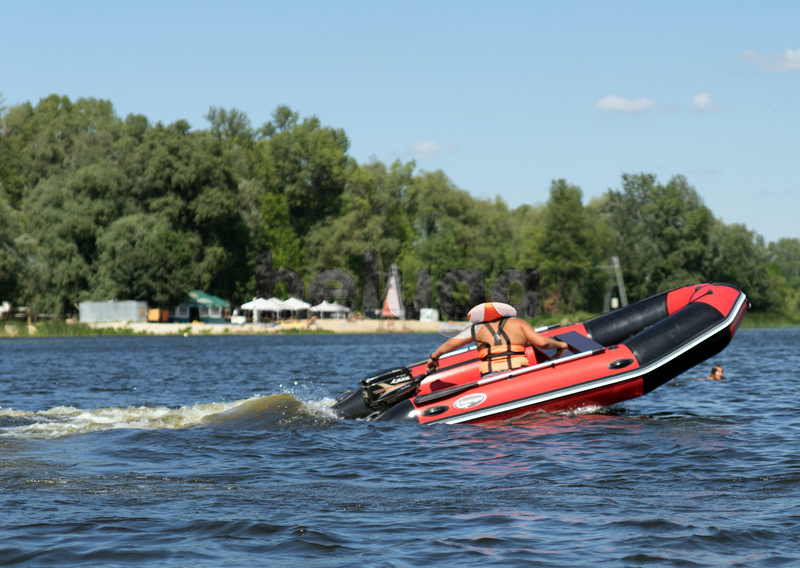 The main thing not to forget to seat all people on different boards of the boat, that there could be a counterbalance in order to avoid a boat overturn. I like very much the boats from your brand. They are capacious, well float and comfortable to manage them. Also I like oars, they are comfortable to hold them and lightweigt. I wish success of your company!